Our Thanks to Everyone who made 'The Murder of Millie Lancaster' a success! "The Theater of the Dead," throughout the month of October. 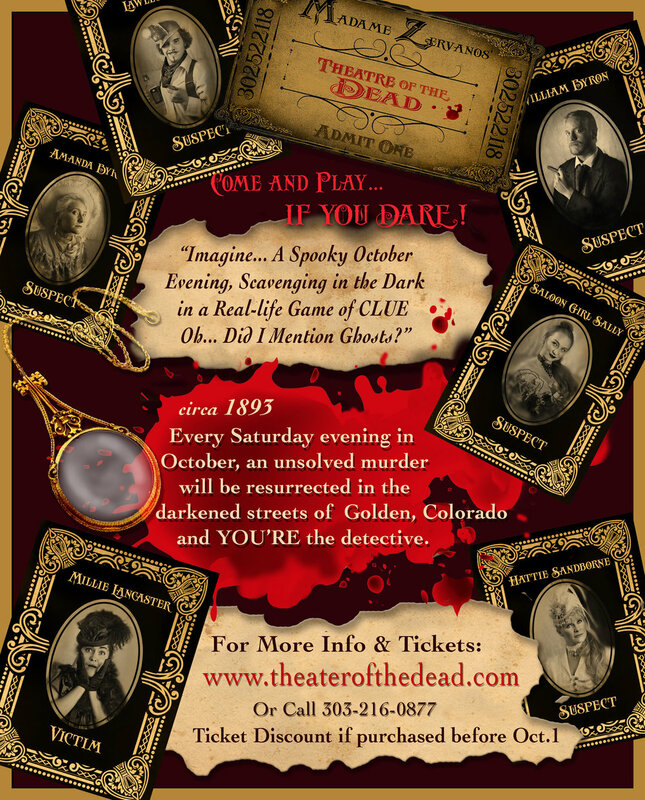 Every Saturday evening, restless spirits reach out to the living in the streets of downtown Golden, Colorado to help solve a murder that occurred 125 years ago. You will piece together the events that took place on one fateful evening in this immersive experience! It is part theater, part scavenger hunt and YOU are the detective in a live game of clues! This event takes place both indoors and out, so dress accordingly! One person in your group must be able to receive text messages. The Spirits look forward to your arrival!